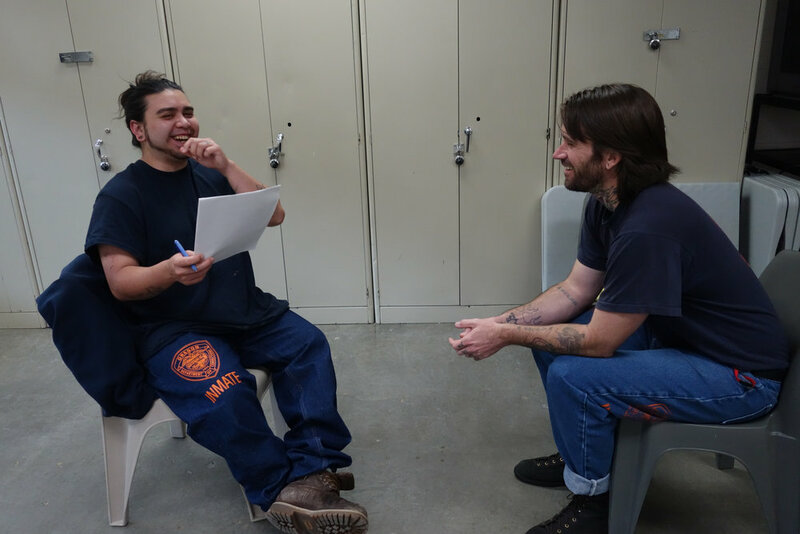 CITIZEN | 100 is a critical exploration of citizenship and the nature of belonging in the United States today. 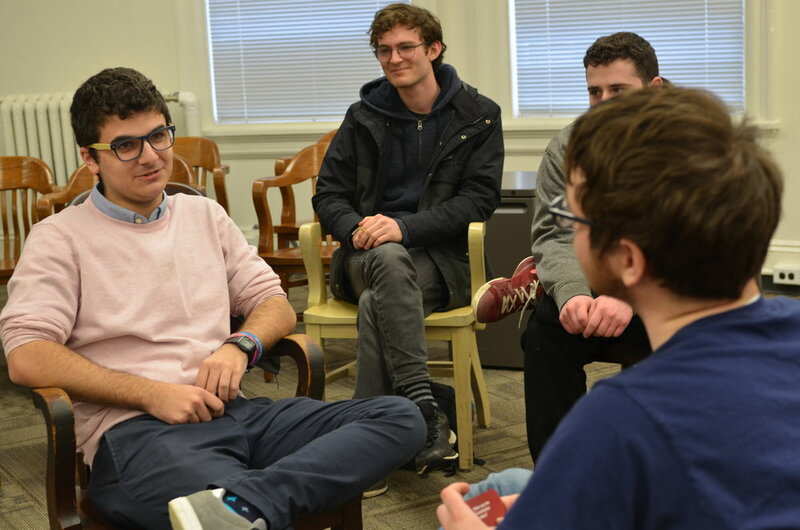 Specifically, it is an institutional critique of the 100-question oral exam administered as part of the naturalization process for immigrants wishing to become US citizens. 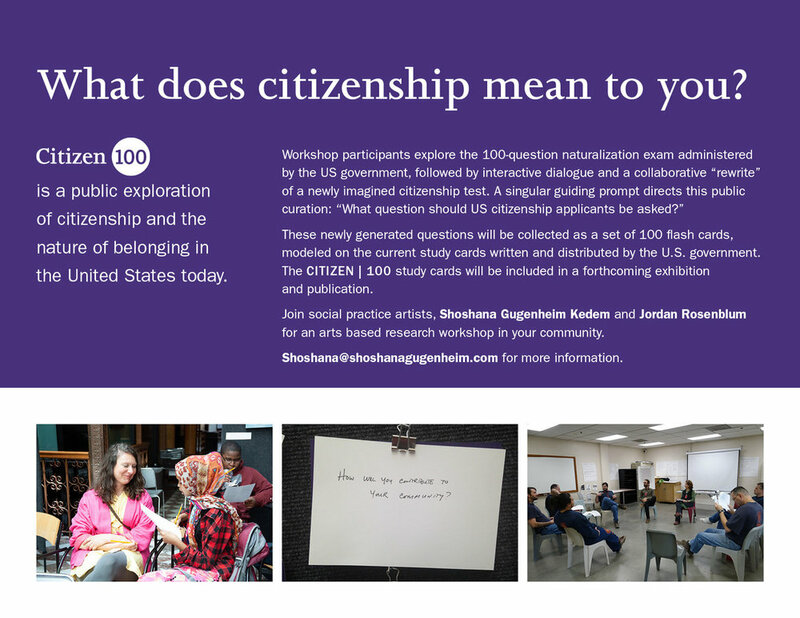 Using the 100 questions that the US government has determined to be the essential knowledge base necessary in order to be/come a citizen of the US, this project asks: What is citizenship? 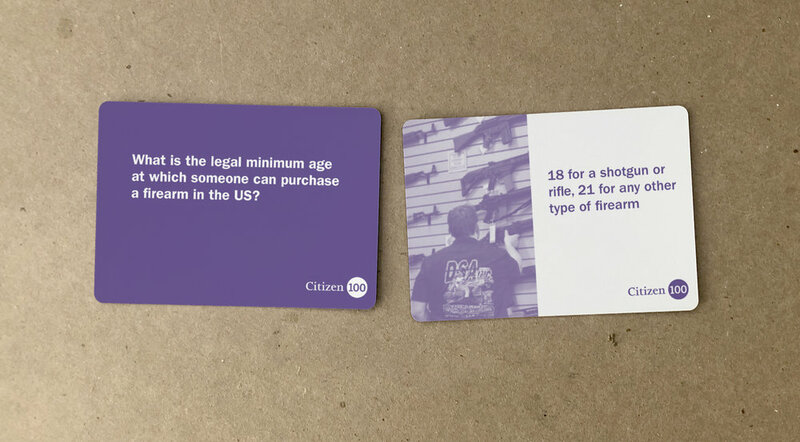 What does it mean to be a citizen? What is the meaning of belonging? Whose history is valued? How does knowing the answers to these questions secure a new citizen’s success in this country? 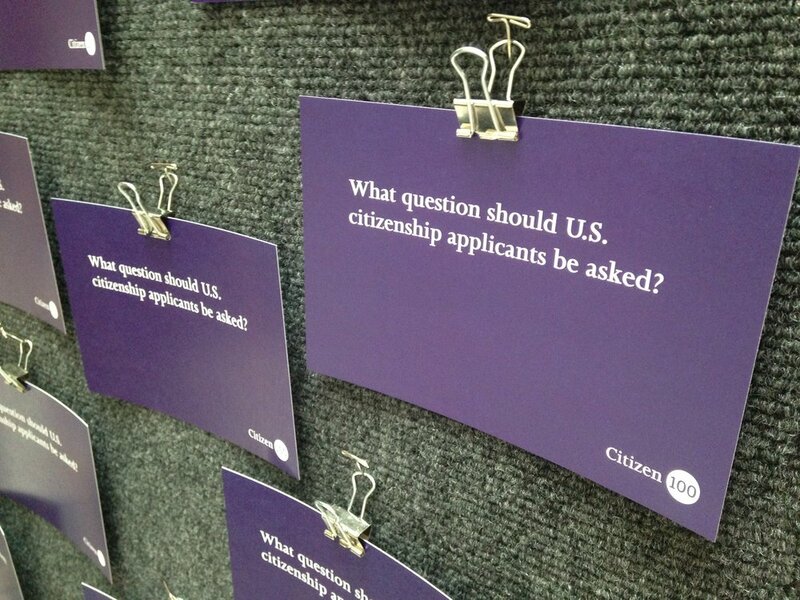 Is there another set of questions that may tell a broader history or serve a new U.S. citizen more fully? 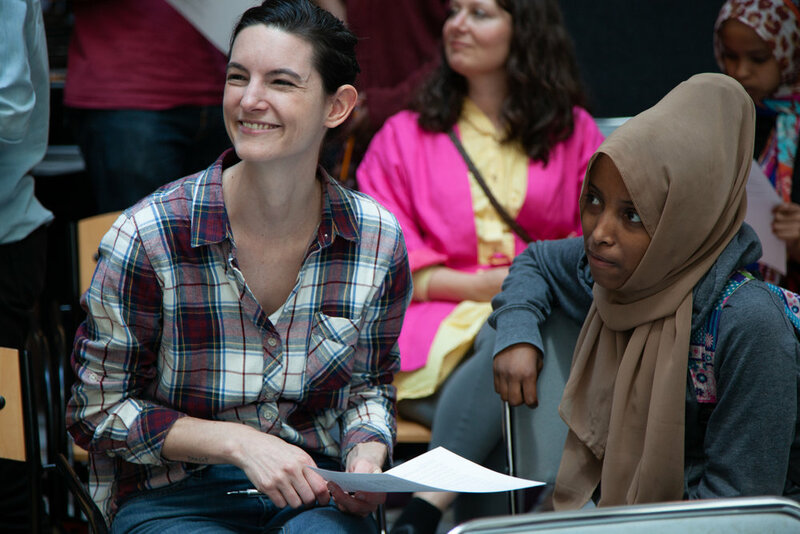 What questions might the public curate? 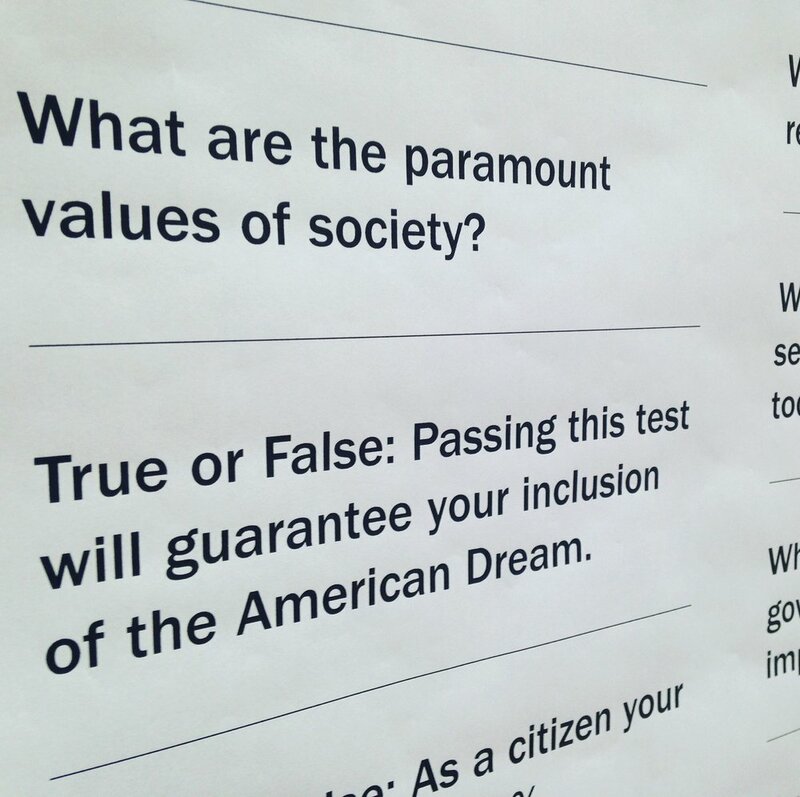 Through the experience of taking the standard 100-question test, followed by critical dialogue, participant collaborators go on to "rewrite" the examination by formulating questions for a Citizen | 100 exam sourced from a singular guiding prompt: “What question should US citizenship applicants be asked?” The Citizen | 100 questions, a publicly generated citizenship test, are being curated and collected into a study set of 100 flash cards, modeled on the current flash card study set formulated and disseminated by the U.S. government. 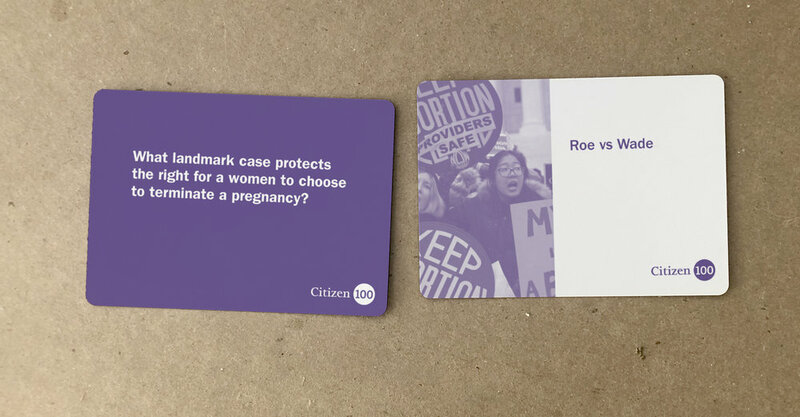 The completed card sets will be distributed, with a publication, to the participating collaborators as well as other relevant cultural and social institutions. Can you pass the current naturalization test?